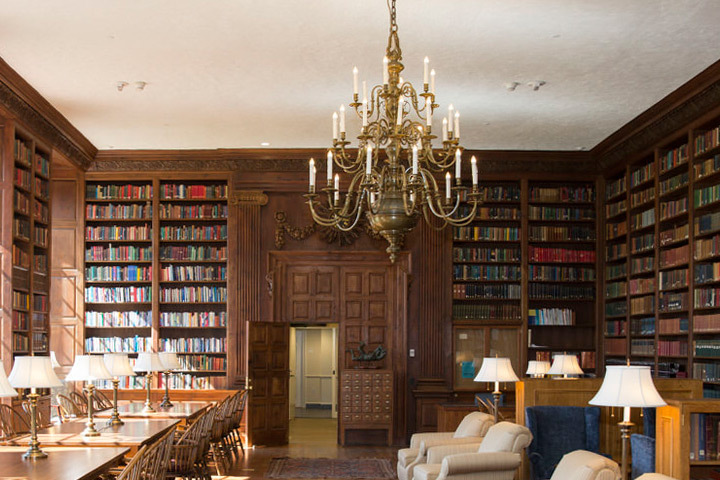 Located on the banks of the Charles River, Harvard University’s Dunster House derives its name from Henry Dunster, the first president of Harvard College elected in 1640. 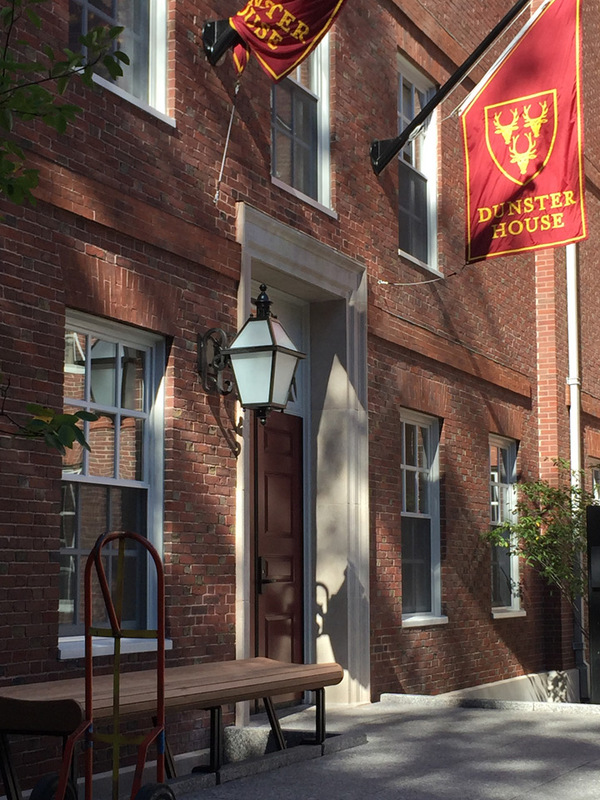 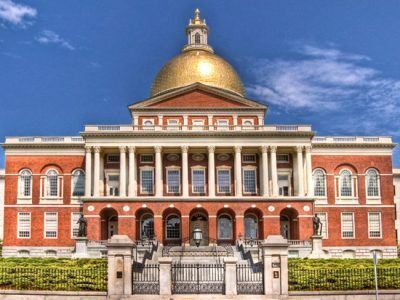 The House was completed in 1930 after University President Abbott Lawrence Lowell proposed a House Plan to construct seven dormitories to separate upperclassmen from the freshmen, with the Dunster House being one of the first dormitories constructed. 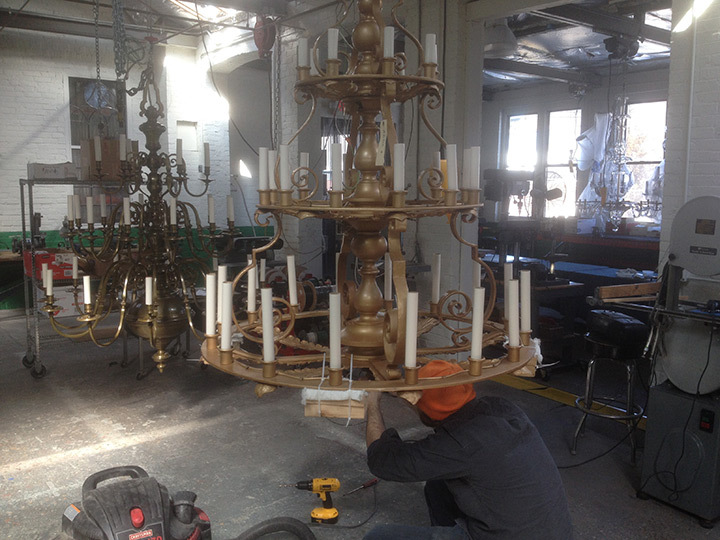 Grand Light restored twenty-eight original luminaries ranging from large chandeliers, wall sconces, pendant lights, and exterior lanterns. 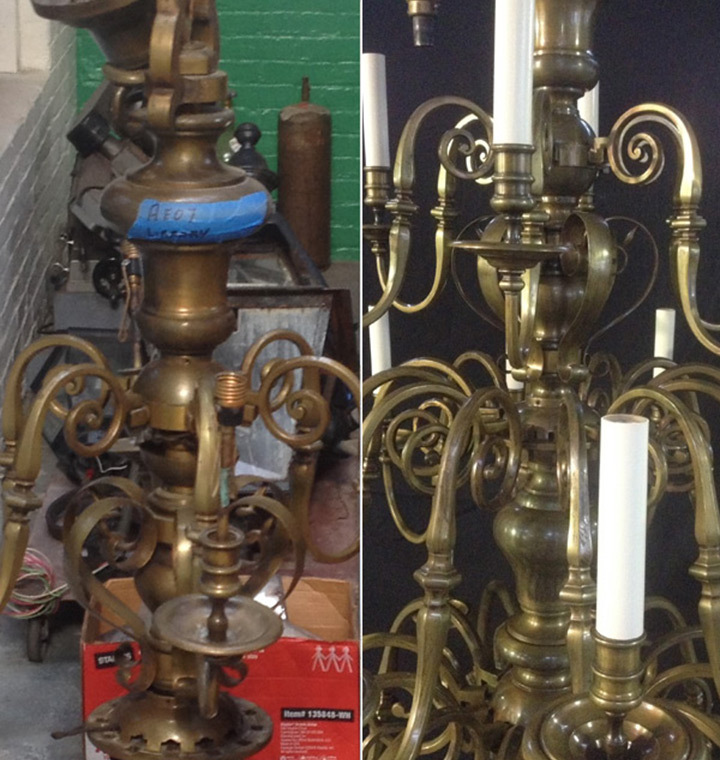 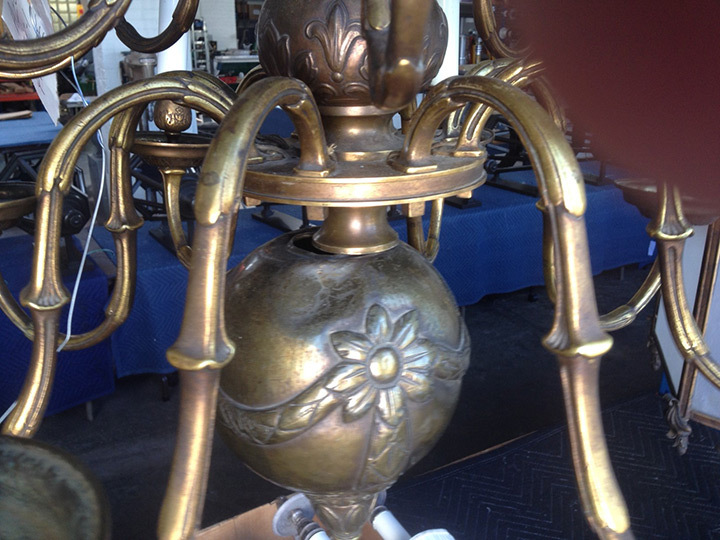 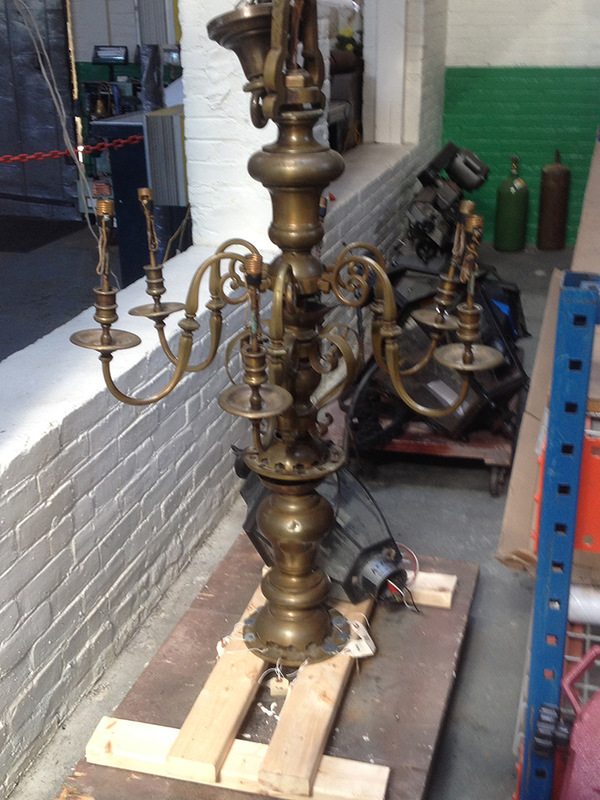 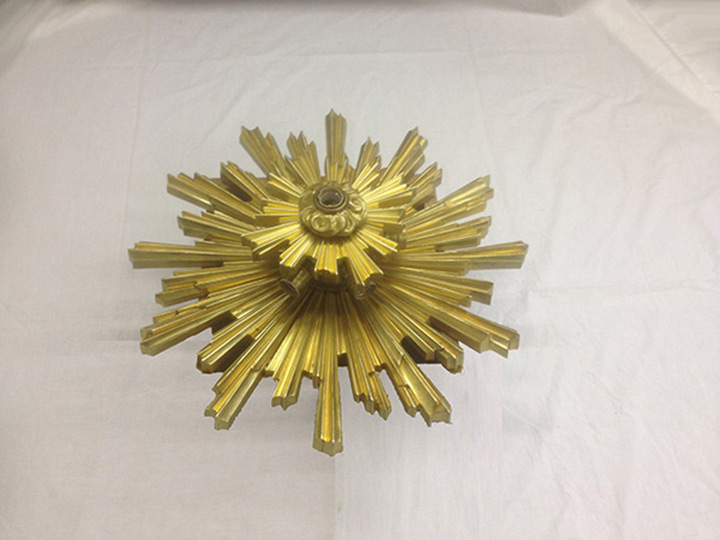 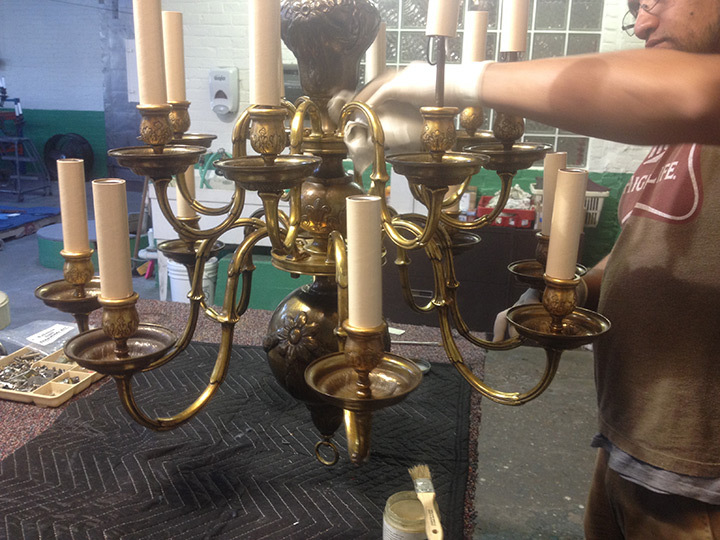 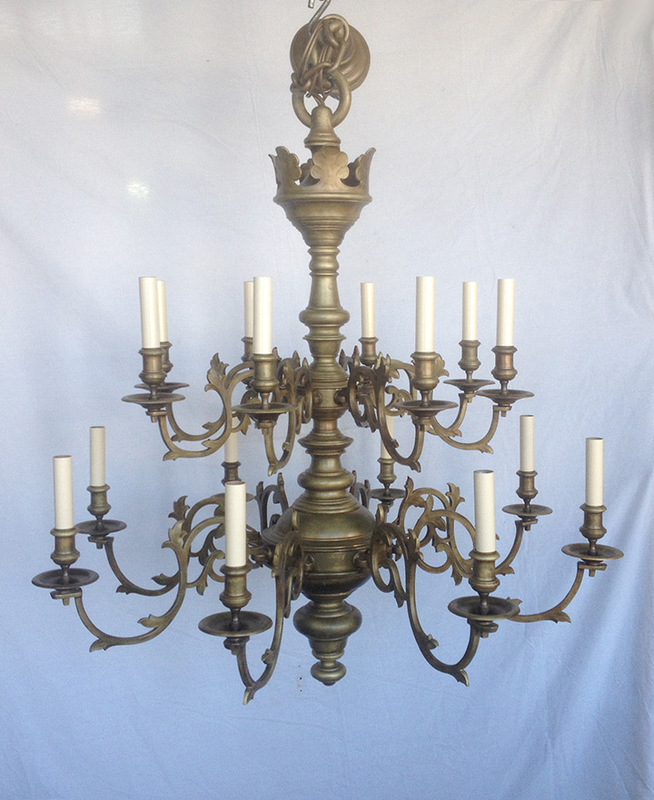 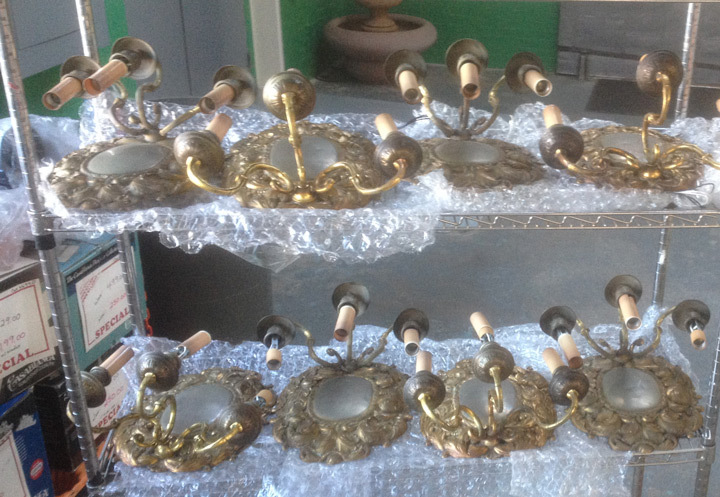 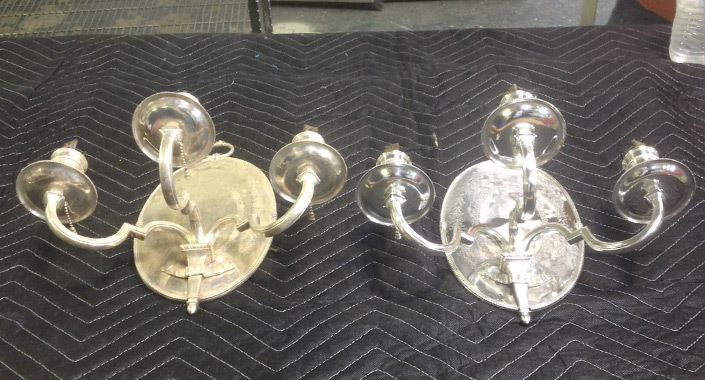 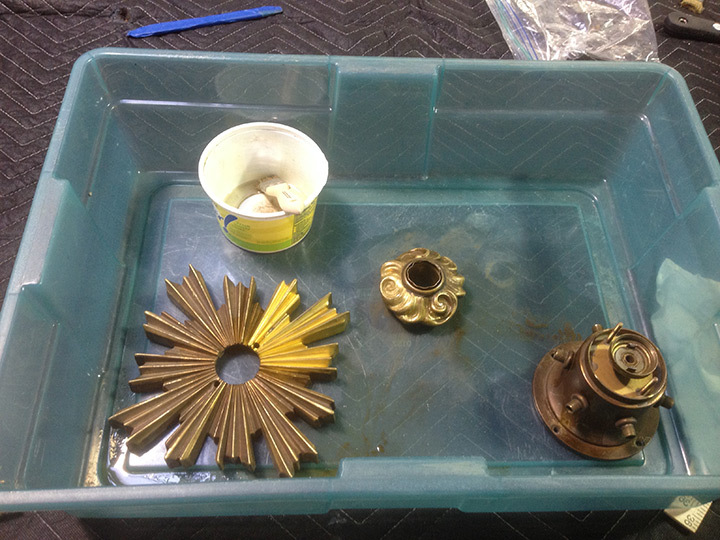 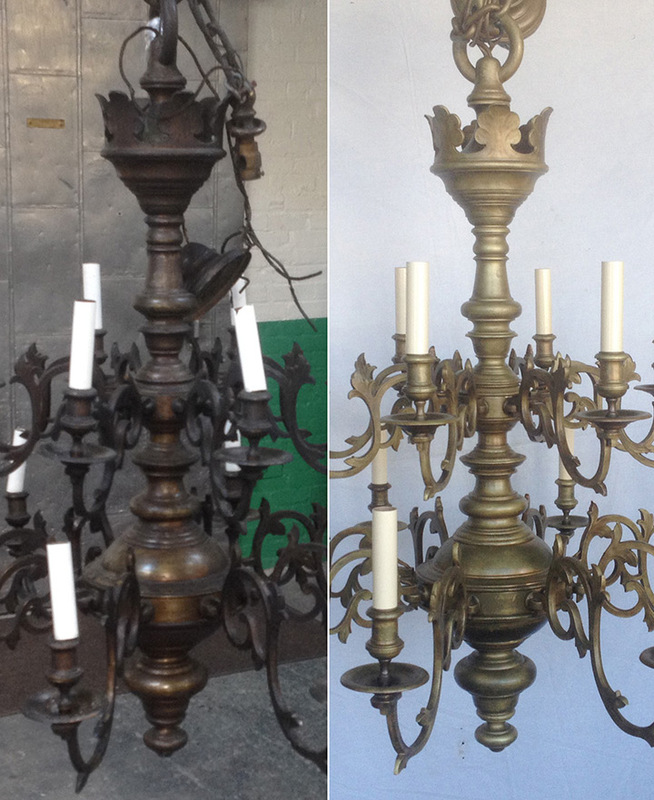 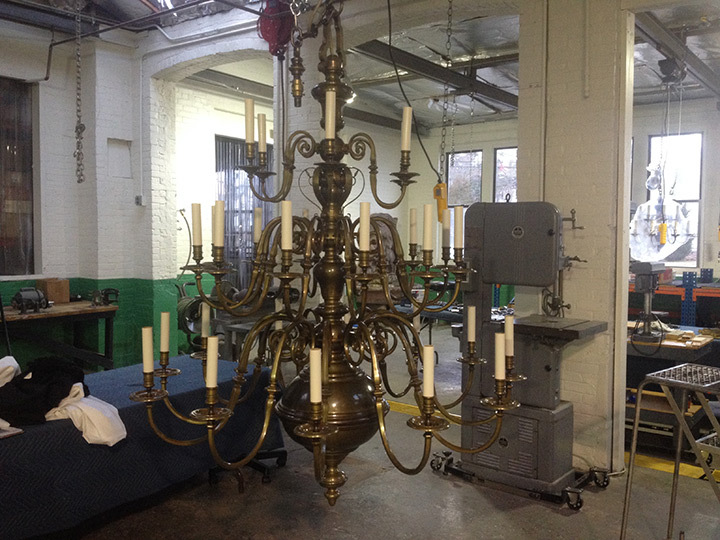 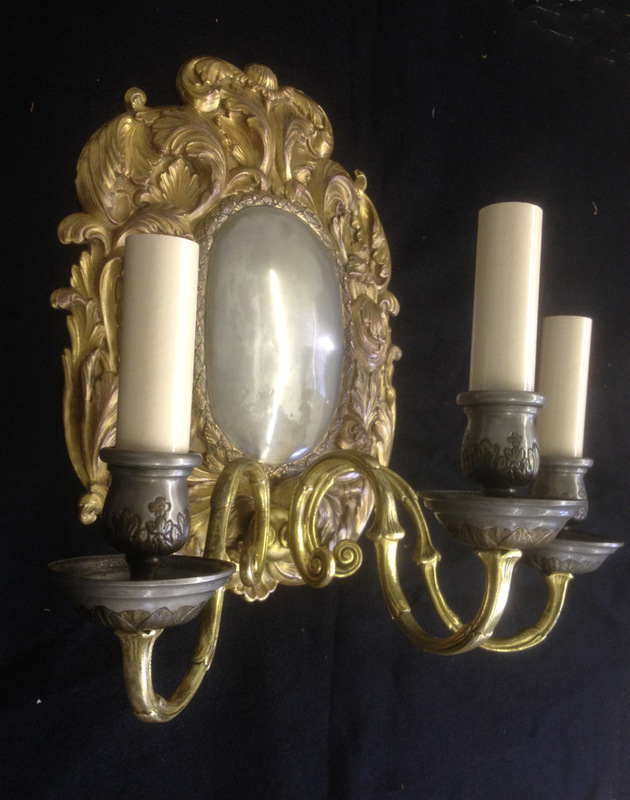 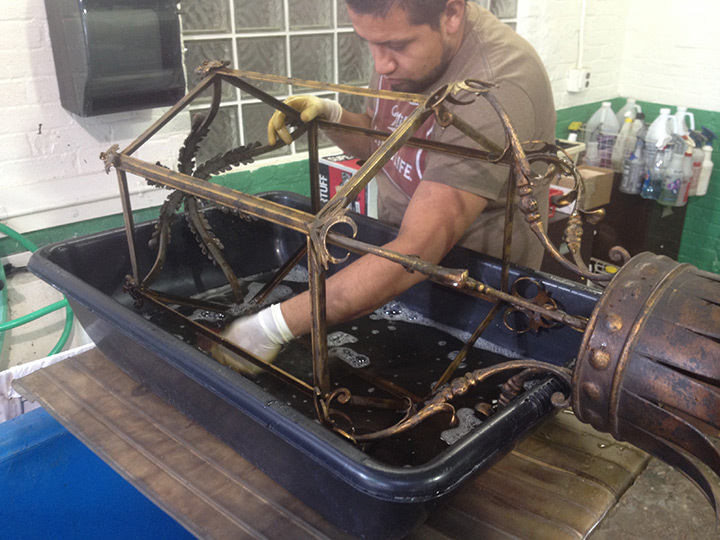 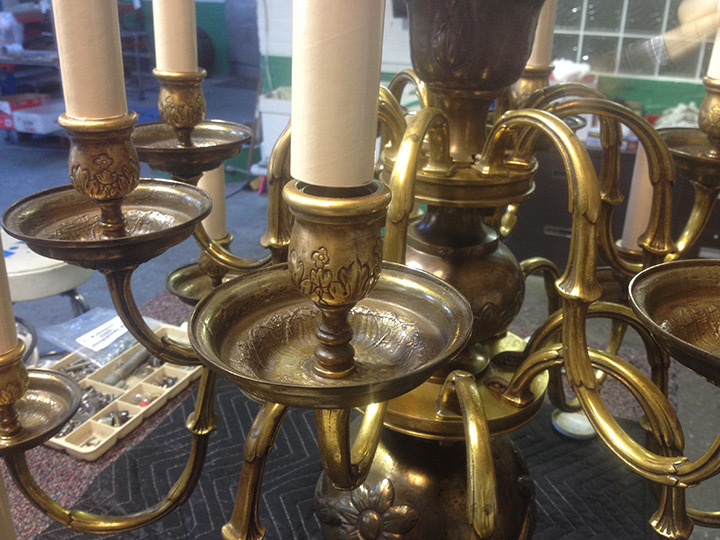 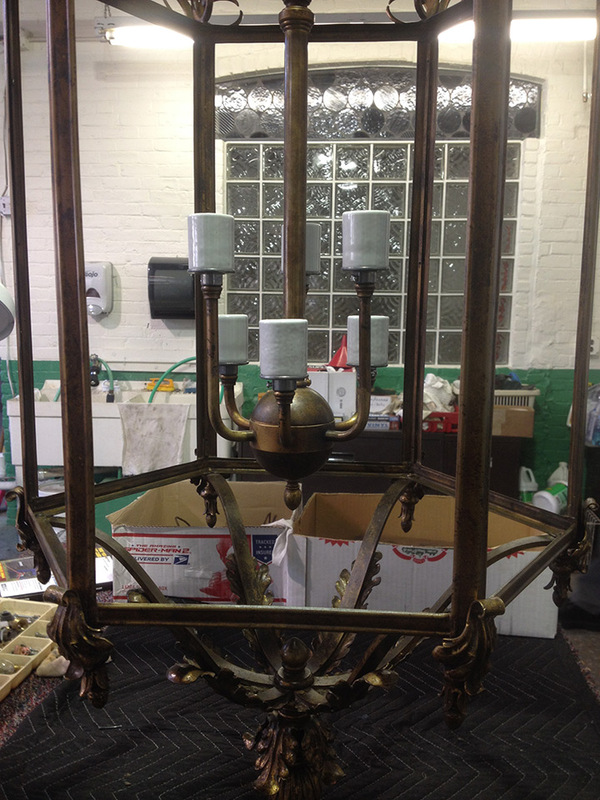 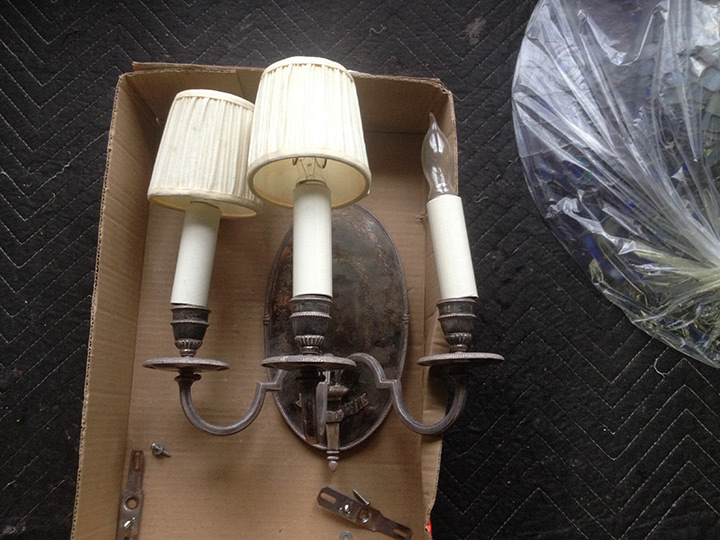 These fixtures underwent several different restoration techniques ranging from cleaning and conservation of the existing finishes, to complete refinishing. 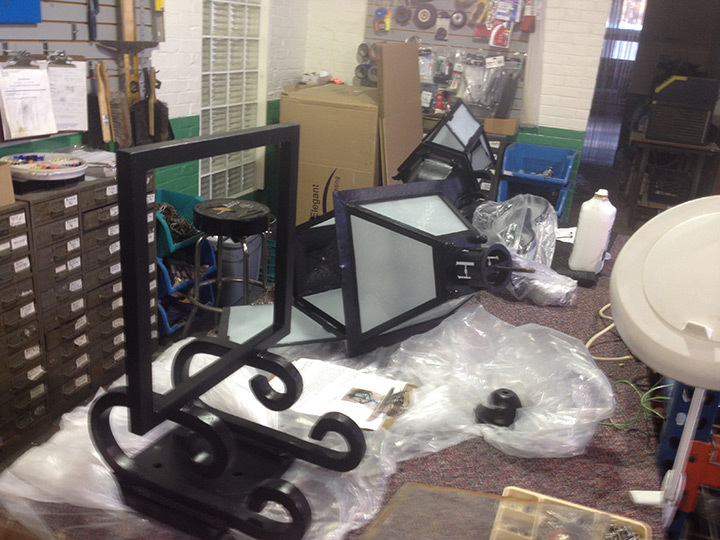 All fixtures were rewired in accordance with UL standards. 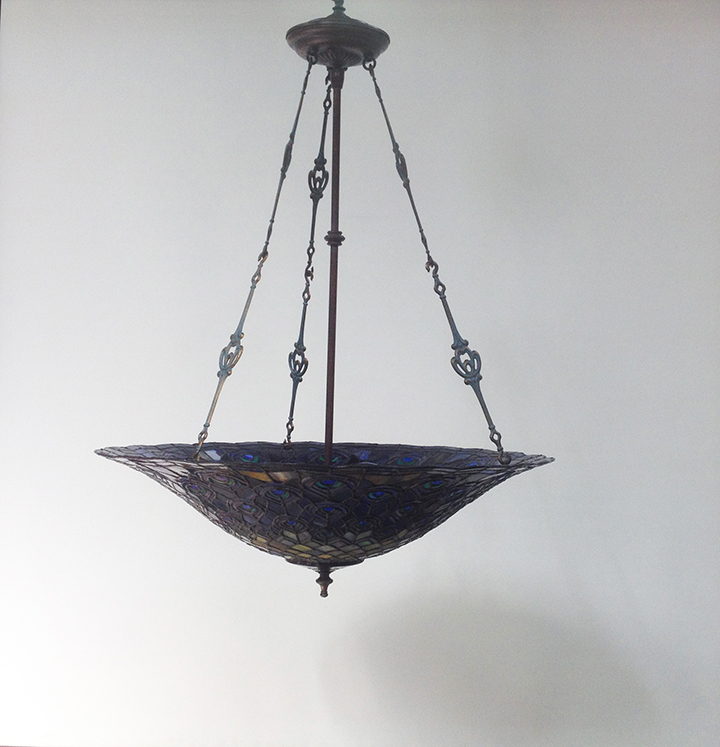 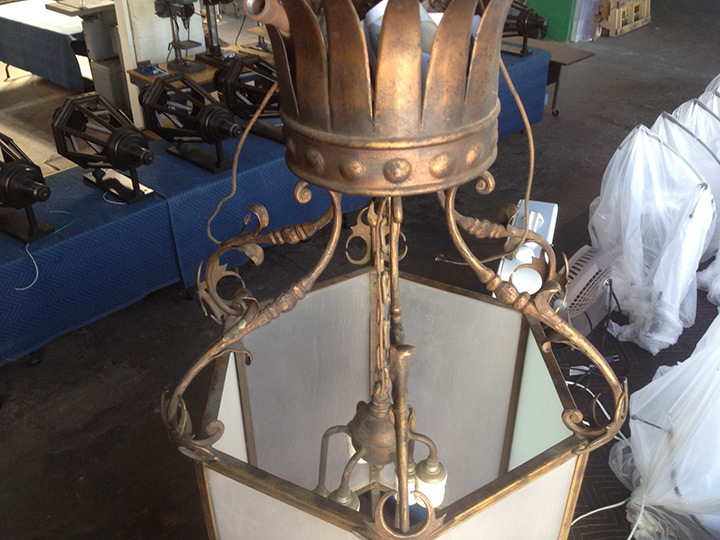 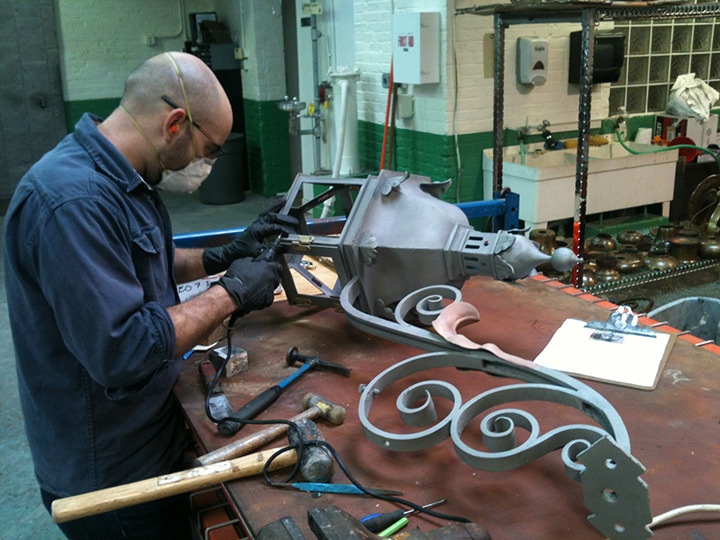 Of the historic luminaires requiring restoration, a majority were manufactured by the renowned Edward F. Caldwell & Company of New York City, the premier designer and manufacturer of electric light fixtures and decorative metalwork from the late 19th to the mid-20th centuries. 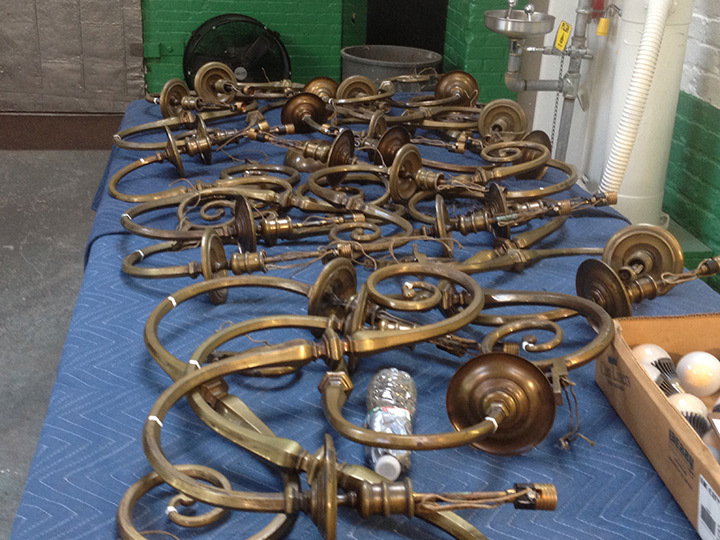 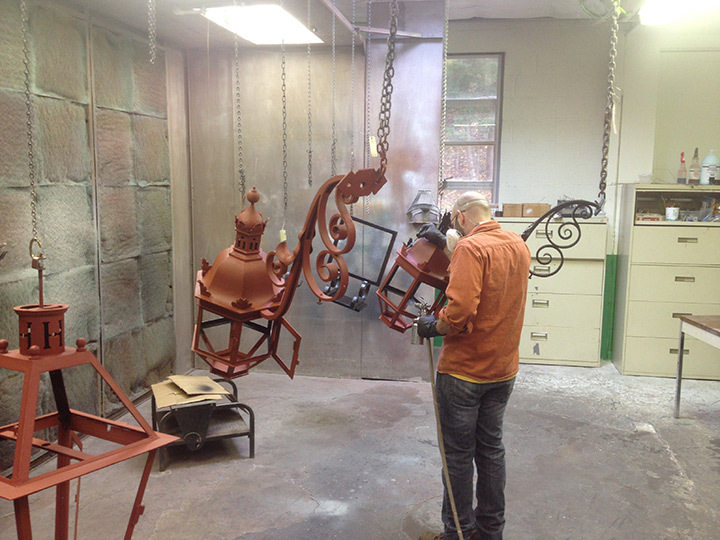 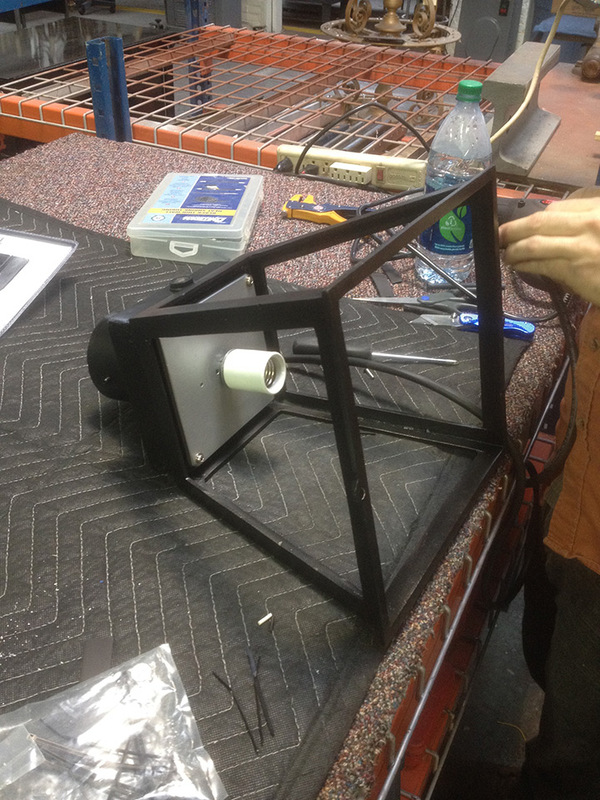 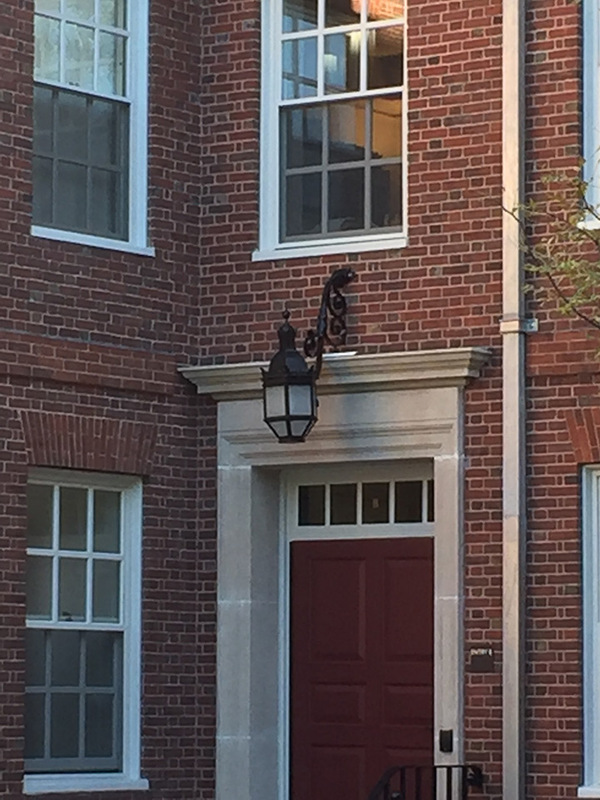 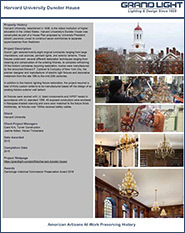 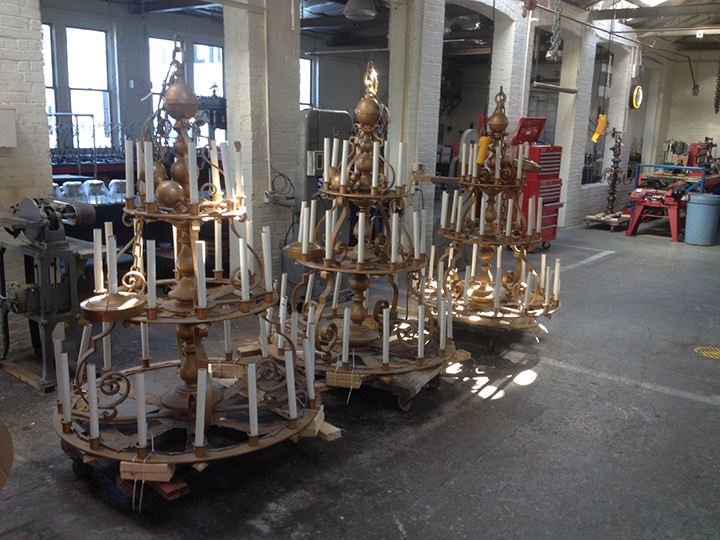 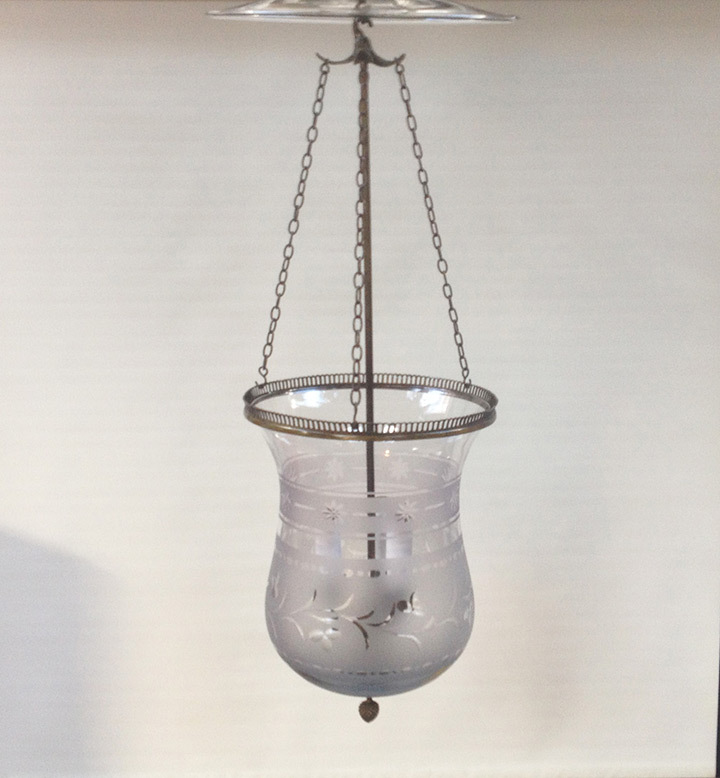 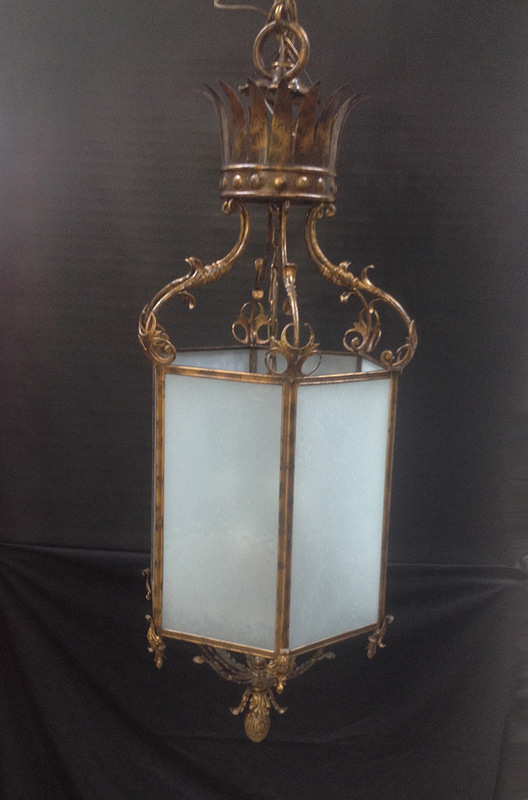 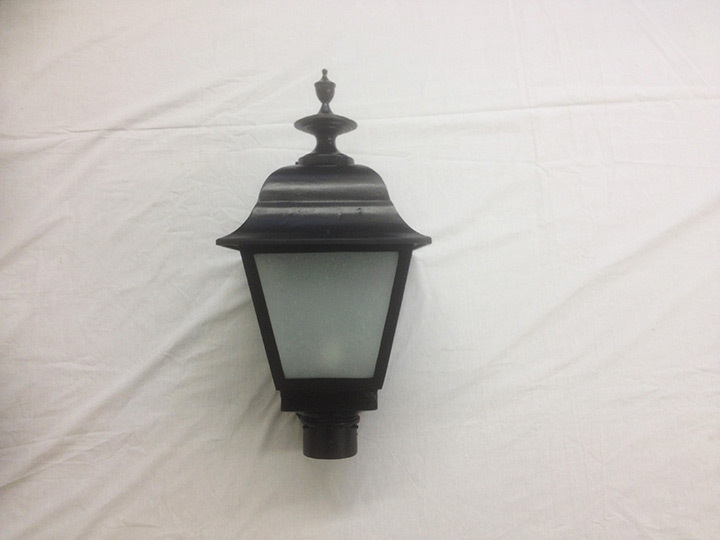 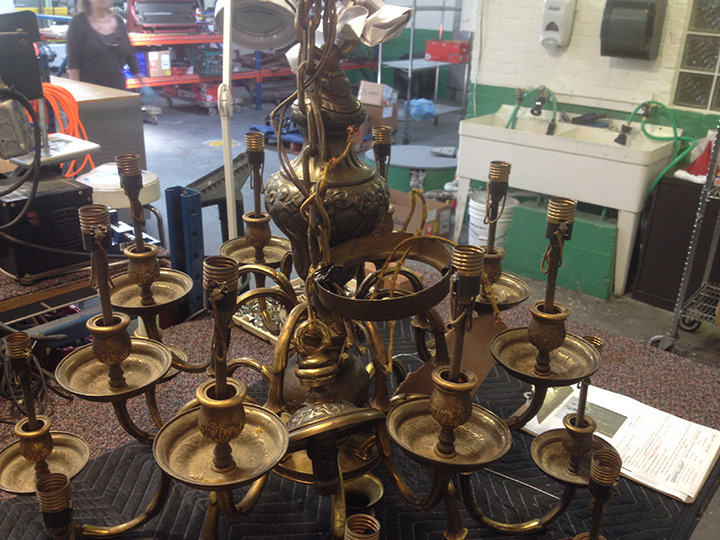 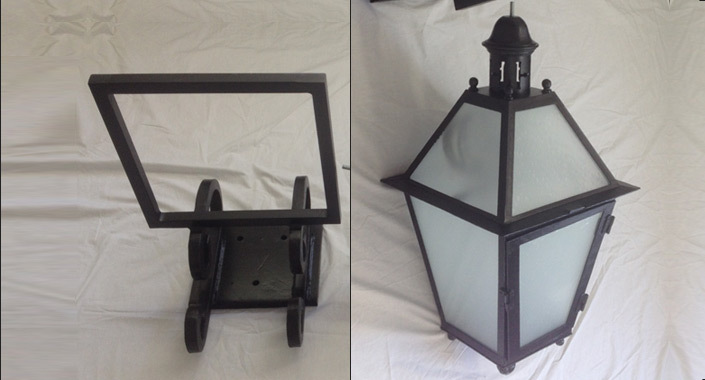 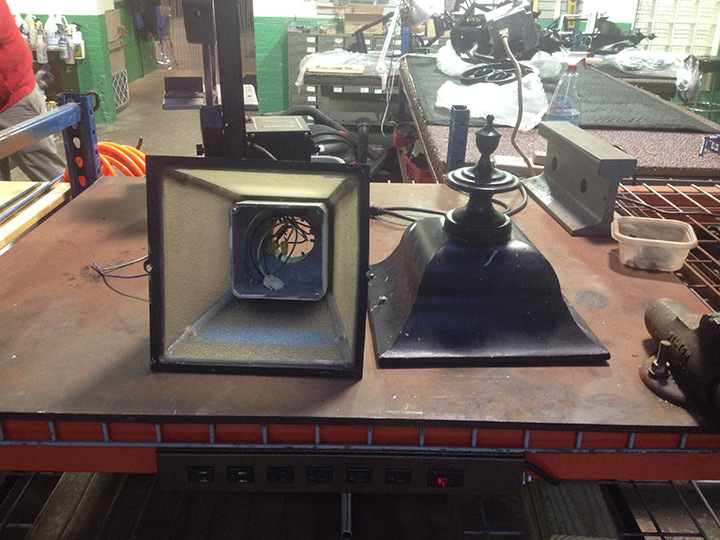 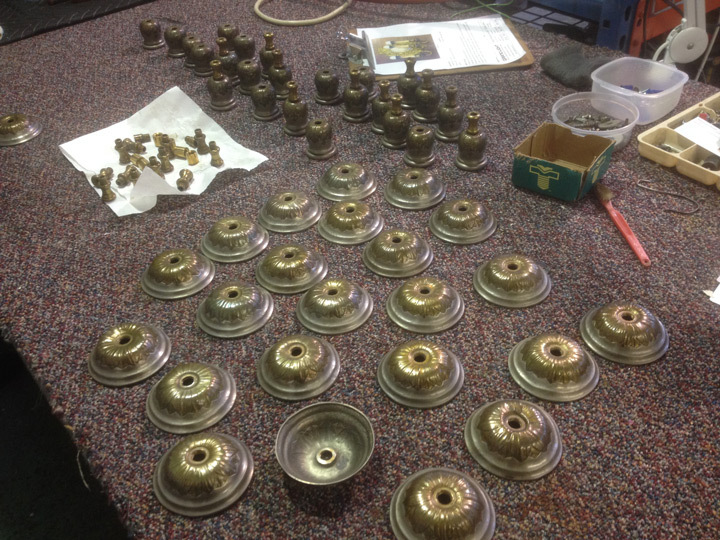 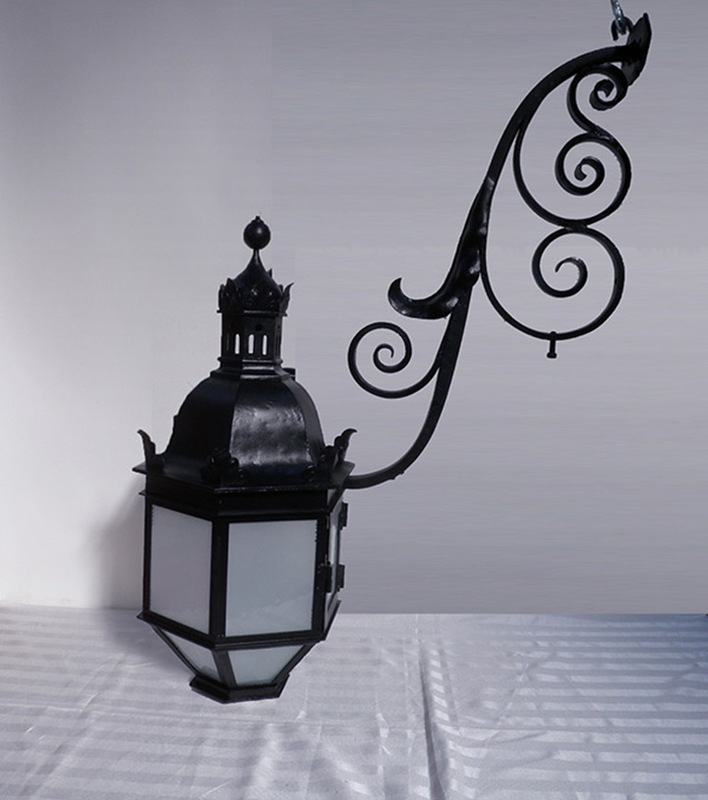 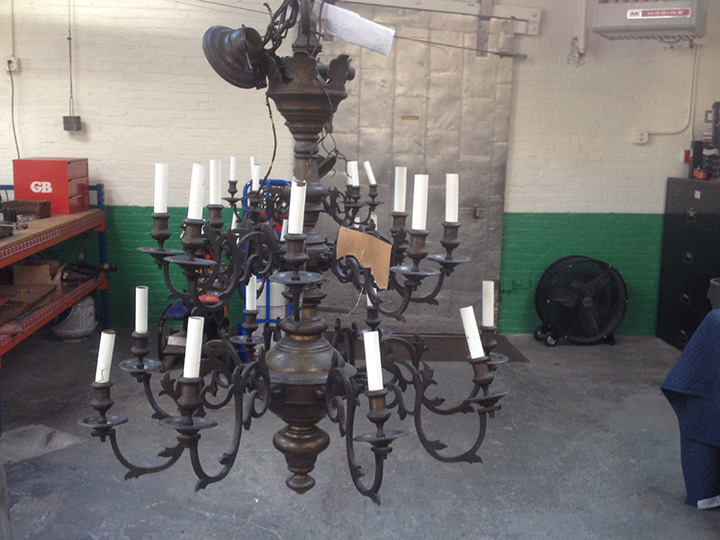 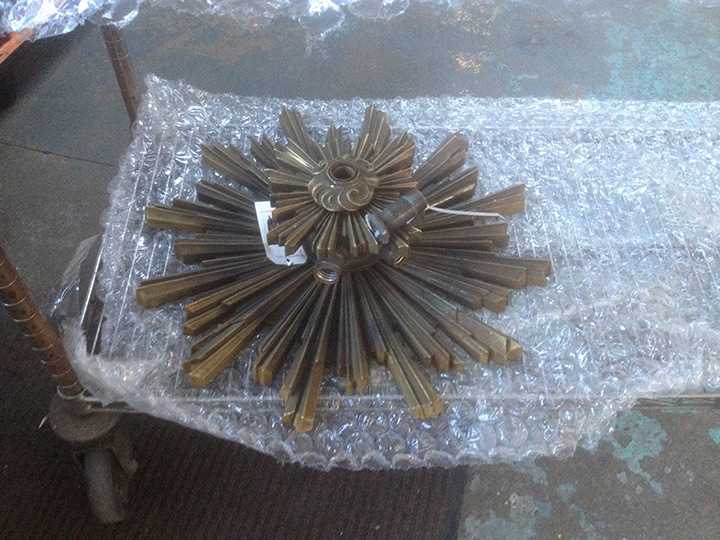 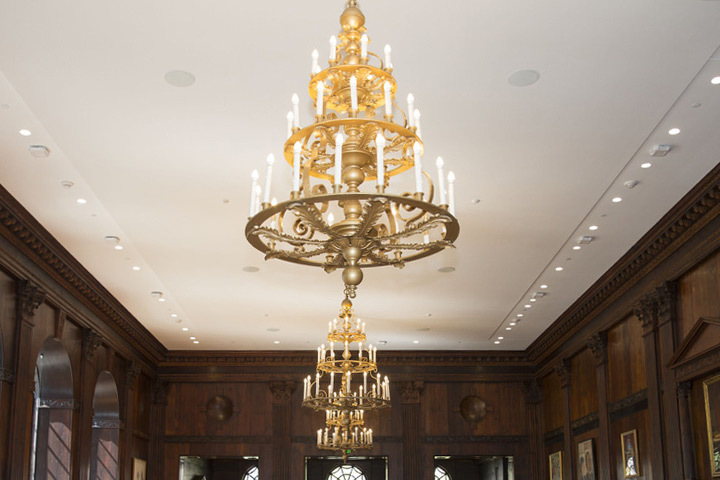 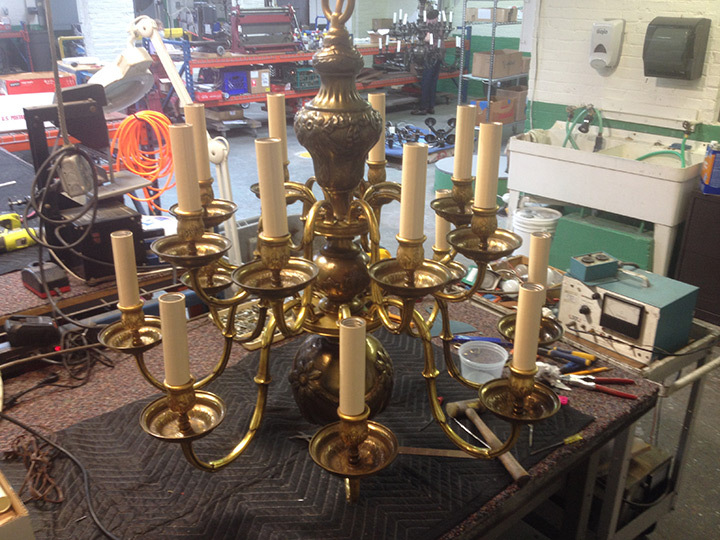 In addition to the historic lighting fixture restoration, the project required a total of thirty custom lanterns to be manufactured based off the design of an existing historic exterior wall lantern. 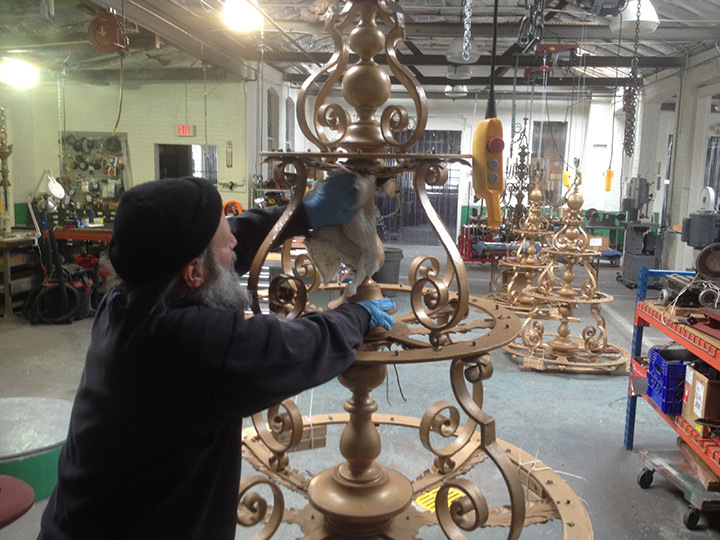 A Grand Light artisan applies a coat of protective lacquer.